I'm a 26 year old male Senior Reporter for Weekend Notes. I Graduated from A Bachelor of Arts (Creative Writing and Communication) at UniSA in 2014. As well as writing for WN I have also done pieces for the Adelaide 36s and Mawson Lakes Living. Get hype! Premier League Basketball is here and this season is looking to be better than ever. With a few off season trades, some 36ers repping the Premier League teams and a plethora of new talent fresh from college in the states, this year is guaranteed to be absolute highlight machine. Both Male and Female leagues and teams have made a number of changes to ensure that everyone is a contender this year. The Southern Tigers are coming off a high. Not only winning last year's Premier League Men's Finals but keeping that momentum into preseason. Winning the Roundball River Rumble over the Eastern Mavericks. The Southern Sabres are right on their tails though. Redemption possibly coming in Round 1 when they take on the Tigers at Pasadena on the 1st of April. The women's league is just as fiery. The Norward Flames had a dominating season last here but with a host of imports as well as veterans like Jo Hill coming into the Premier League the ladies are set to deliver some non-stop, action packed games. 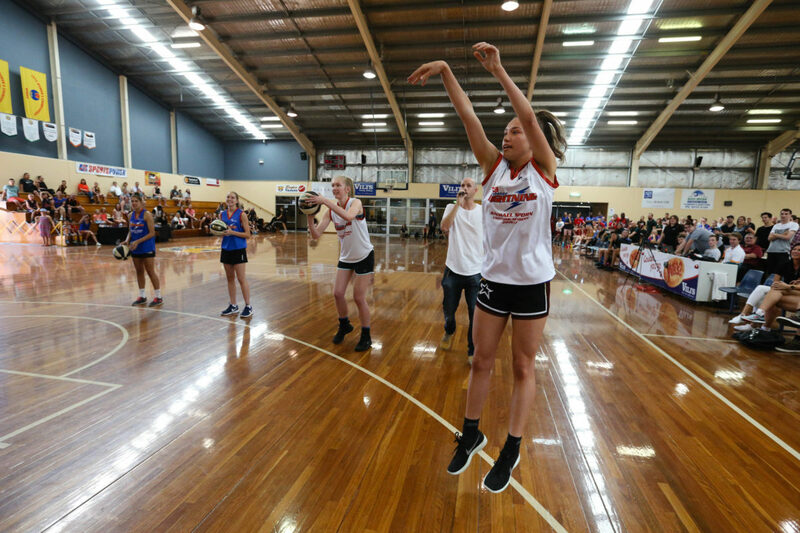 The Season Launch itself at the Wayville Basketball Stadium was a good indicator of things to come. A true family and friend's affair. Premier League has always been the embodiment of community basketball in SA. All the teams were there to show off their colours and have plenty of photo ops. A number of stalls, games and activities for kids were also on display. Showcasing the inclusive nature that is Premier League basketball. Premier League has always been about showcasing the young up and comers in Australian basketball. Rachael Sporn made an appearance at the Season Launch to help emphasise this strongly held belief. Rachael Sporn, Marcus Wong, Brenton Johnston and Jo Hill have been working with each other and the girls selected for the Rachael Sporn Academy's first class in November to deliver an intensive and detailed course to cover all basketball fundamentals and highlight and encourage the students' talents. Sporn came onto the court and gave a rundown of everything the Academy has been doing to support talent and develop women's basketball in Australia. With excellent results, Sporn was more than happy to have the girls come out on the court for a 3 point shoot-out. Rachael has been incredibly active in charity. Herself being the CEO for the Australian Melanoma Research Foundation. The Dram Academy came along to donate $50 for every made 3 in the shoot-out. This collaboration ended up raising $550 for the foundation and cancer research. Taking the stage next was Basketball SA CEO Mark Hubbard. Mark had a number of warm remarks in regards to the teams this year and the Basketball SA community but he also had some important announcements to make. One was the decision to reduce the season length from 21 rounds to 18 rounds. He also detailed that there will be an Anzac day round and a Women's round this year to celebrate women in basketball. 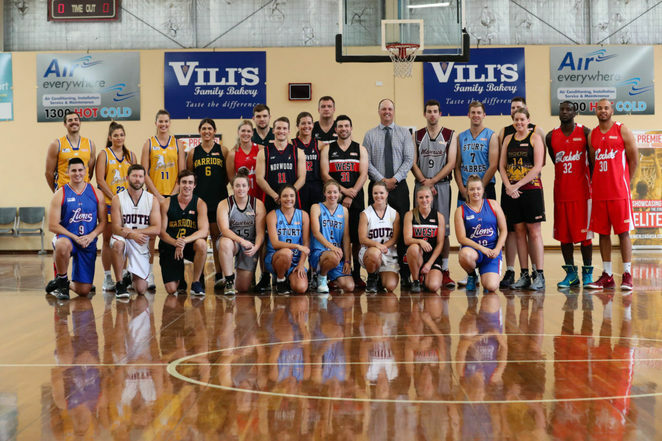 The Eastern Mavericks will also be playing one of their home games in Murray Bridge to help bring exposure and support to country basketball. Some of the other big announcements came earlier in the year with the biggest being ability to bring in two international imports into each team. This has had a big effect on the league with plenty of hype surrounding a number of the new players joining the league. Major shake ups have been seen throughout the teams. With the growing interest in Premier League bringing in names from all over the place. Along with the imports, Jo Hill has come out of retirement to join the North Adelaide Rockets and Ally Wilson from the WNBL's Sydney Uni Flames has joined the Eastern Mavericks. With all the changes, new additions and the build surrounding Premier League this year, the season is currently set to be the best ever. We spoke with a few of the players after the Season Launch to get their thoughts on the Premier League and their team. 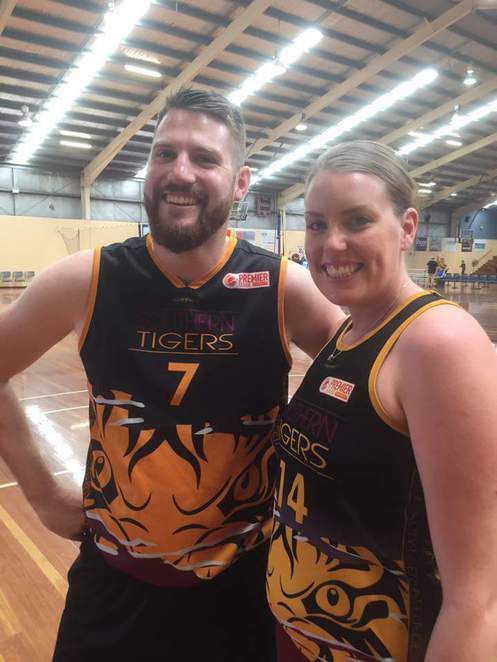 Daniel Peacock and Tara Dodman are the Captain's for the men and women's Southern Tigers teams respectively. The Southern Tigers had an incredibly superb season last year, the men's team managed to come away with the championship while the women's team made it to the Preliminary final. Both are excited about the league changes. Daniel expanded saying he's eager, "Getting back out onto the court with a great group of guys and relishing the challenge of going back to back and being the hunted team this year. With the inclusion of NBL players and the calibre of imports this year will be a very tough competition combined with a shorter season. I feel we and the fans will get great basketball the entire season no matter who is playing." Tara Dodman, sharing similar feelings, added, "I'm excited that Basketball SA have added the two imports option for teams. I hope that it means the competition will be quite strong, and that week to week the games will be more exciting and challenging even from past years. For us at Southern, I am looking forward to coming out each week and competing with a talented, hardworking and just great group of girls. We have worked hard all off-season, including the past summer season that we finished as champions, and had a taste of semi-finals last Premier League season which left us wanting to push even more to make an impact this year." With all the changes and shake ups this year, we asked both Captain's how the Tigers have changed and what's got them excited. Daniel: "It's more about the exciting culture change over the last year or so that excites us the most. Creating a winning culture and a proud club where juniors are so eager to come watch and speak with you after the games is something that's quite special. Our change in focus over the break is exciting, again shifting our mindset to continue to want more and not being complacent with one championship. We all want and are committed to winning multiple championships and there's no better feeling being around team mates all working towards a group goal. Tara Dodman went into the changes with the roster and the positive development of new players. "We have a couple of new players. Alex Green, our import who played for Stanford University has really proved to fit in well with our type of game. Demi Skinner came in midway through the summer season and she will add great scoring opportunities for us. We have some players returning to the club who have played for Southern in the past, two players returning from having their first children, and a couple returning from college. So we have a handful of players from our roster last season, and a lot of exciting new and returning players will be given the chance to work hard, and get wins on the board." The Southern Tigers have definitely made their presence heard and don't seem to be showing signs of slowing down. Consolidating their position as one of the more fearsome clubs in the league. That's not to say other clubs aren't fighting. As Daniel said with the changes this year every game is set to be a good one and all teams a looking to challenge for the championship. We also spoke with Lucas Valk of the West Adelaide Bearcats and Te'onna Campbell of the South Adelaide Panthers about how they are going to step up in this year's competition. Lucas: "I'm looking forward to playing with a great group of guys and coming up against quality opposition week in, week out. Changes across the board starting with the coach, two new imports and some exciting Bearcat juniors coming through." Te'onna came to the Premier League last year from the University of Houston. 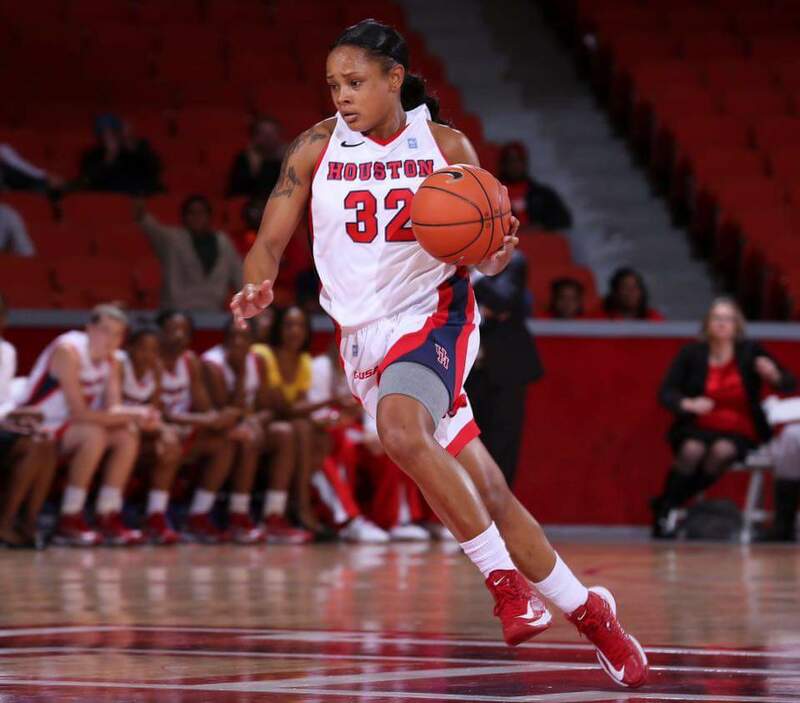 Originally playing for the Bearcats she has since made the move to South Adelaide. About Premier League this year and changes to the Panthers, she had this to say, "Really just (looking forward) to competing and dominating. Ready to get out there. I can't say changes because they're in the process of rebuilding their women's program, but the fact that at the moment everything and everyone is fresh gives the possibility to create a great platform for growth and creating great and close relationships. Since we are all trying to help each other in every perspective." So there you have it basketball fans. Everyone is rearing to go and tear this through season to make it the nail-biting, fever-pitched display that Premier League has been known for. This is without a doubt something you don't want to miss. Games start on Saturday April 1st for both Men's and Women's leagues. 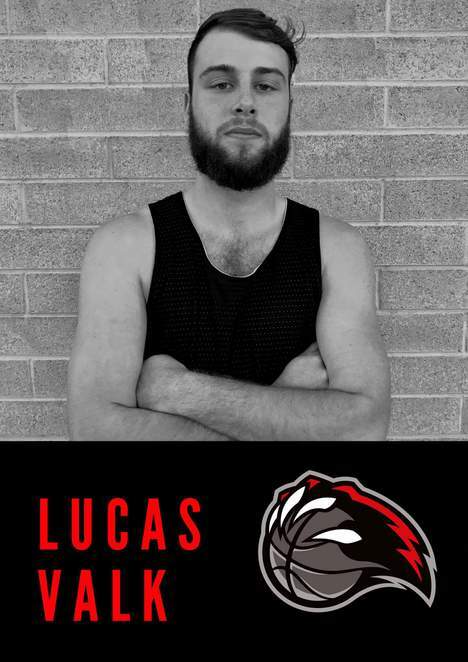 Check out www.basketballsa.com.au for more information. Be sure to check out Basketball SA and Premier League out on Facebook to keep up to date.